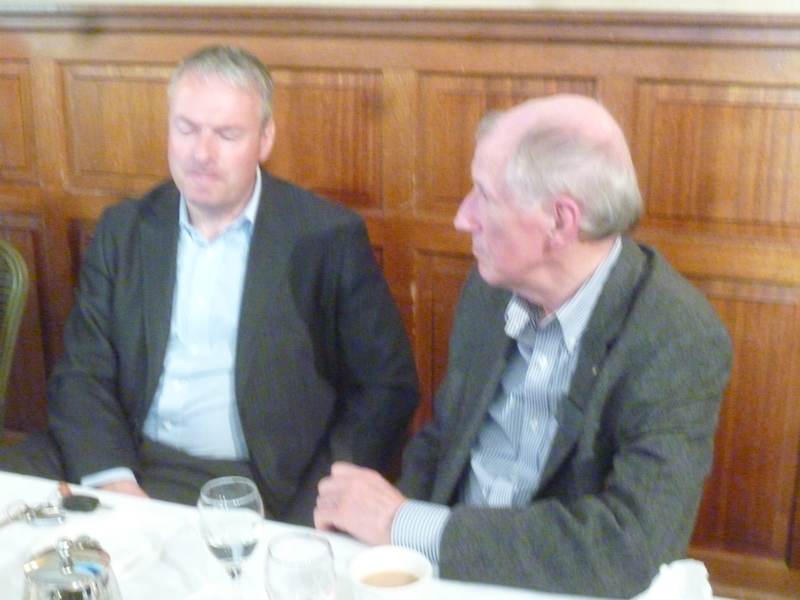 Glasgow Prestwick Airport, the Scottish Government-owned strategic airport facility on the Ayrshire coast, was the engaging topic delivered by Stuart McIntyre, the Bid Director of Prestwick Spaceport at Ayr Rotary last week. The UK Government has re-affirmed the country’s need to have an operational Spaceport capability by 2018 to support the burgeoning UK space industry. The facility will become a launch station for next-generation satellites and space instruments using the modern generation of horizontal take-off space launch vehicles. It will also be an operating base for manned flights using reusable space craft such as those being developed by Virgin Galactic and XCOR. It is expected that the Spaceport will become a major hub for companies involved in the space industry and can provide major economic opportunities. Stuart continued by confirming the availability of experienced high-tech aerospace workforce and a substantial aviation and high-tech engineering industrial footprint and Scottish Enterprise incentive zone supports the growth of the space industry. The universities in Glasgow and Ayr are at the forefront of space and aerospace engineering research and teaching and Prestwick offers safe over-water flight paths with over 4m people within a 2 hour drive giving access to the widest range of specialists and expertise. This combination of features is unique amongst the sites being considered and positions Prestwick as the leading candidate to become the UK’s first Spaceport said Stuart. The other two main contenders for this futuristic, ground breaking business development are Llanbedr in Wales and Newquay on the south coast. Prestwick, contended Stuart is the only site that can release this potential. It will drive transformational change both at the airport and local level and also in Scotland and the UK as a whole. Glasgow Prestwick Airport, in collaboration with South Ayrshire Council, has established a focused bid team to run the bid and lead its interfaces with the UK authorities and the selection programme. Stuart believes they have a detailed understanding of what is required and have already begun bid preparations. The vote of thanks was given by Harry Peters.